Which Premium Gas BBQ is right for you? Ever since the original Weber kettle set the benchmark in barbecue quality, we’ve had a reputation to protect. We know that people rely on and trust us to build barbecues of extraordinary quality and we are not going to let them down. You see, quality is at the very heart of our company’s culture. That is why we strive to keep all of our manufacturing processes at or above the world’s best practice. These are not gas BBQs from some backyard factory. These are not barbecues from some backyard factory. Even poor quality barbecues can look good on the showroom floor, but we know it’s how they look years and years later that really matters. That’s why each Weber barbecue is made from only the highest grade materials that are chosen to weather the elements and stand the test of time. Heavy gauge steel, the finest porcelain enamel, best grade aluminium and, of course, quality stainless steel. The Weber Spirit II E-310 Whether you are feeding your family or entertaining guests, this 3 burner barbecue is a perfect way to step up your game. With the spacious cooking area you can simultaneously sear steaks on one side while cooking an appetiser on the other. Armed with the strong GS4™ grilling system and iGrill® 3 Ready, this gas barbecue is sure to take you and your meals to the next level. 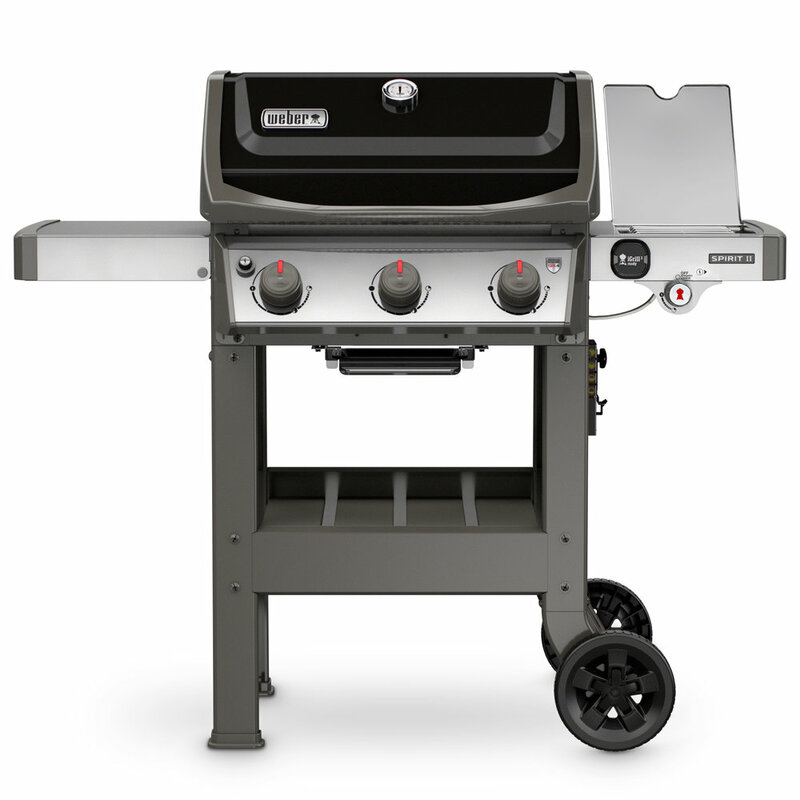 The Weber Spirit II E-320 Whether you are feeding your family or entertaining guests, this 3 burner barbecue is a perfect way to step up your game. With the spacious cooking area you can simultaneously sear steaks on one side while cooking an appetiser on the other. Armed with the strong GS4™ barbecuing system and iGrill® 3 Ready, plus a side burner, this gas barbecue is sure to take you and your meals to the next level. The Weber Genesis II E410 A large four burner barbecue with Weber’s all new GS4 cooking system, iGrill 3 ready and a 10 year warranty. Available in gleaming black porcelain enamel with stainless steel trim. The Weber Genesis II E340 A large premium four burner barbecue with Weber’s all new GS4 cooking system, iGrill 3 ready, Infinity ignition, High + burners, side burner and a 10 year warranty. Available in gleaming black porcelain enamel with stainless steel trim. The Weber Summit E-470 A large four burner barbecue with a side burner, a smoker box with its own individual burner, a sear station and a rotisserie with an infrared burner. Available in black porcelain enamel.